Pain and injury to the Achilles tendon is often thought to be a result of inflammation. The term “tendinitis” or any [insert any body part] with “itis” is tossed around as if it is the only possible cause for musculoskeletal pain. However, the “itis” is not really true. 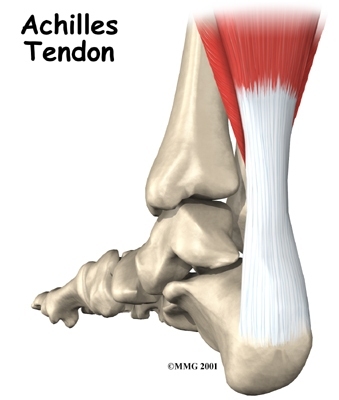 A tendon, specifically the Achilles tendon, is not really inflamed, rather it is deranged (tendiopathic / tendinopathy). In January 2013 the Annals of Human Genetics published an article that demonstrated Achilles Tendinopathy is associated with gene polymorphism (Abrahams, et al., 2013). COL51A is a gene that encodes the development and organization of Type V collagen. This collagen can be found in ligaments, tendons, and connective tissue. COL51A plays an integral role in development and maintenance of connective tissue. Abrahams, et al. (2013) demonstrated that polymorphisms occur in the COL51A gene causing altered structure of collagen resulting in tendinopathy. This entry was posted in Ankle, Rehabilitation, Sports Medicine and tagged achilles tendinitis, Achilles tendinopathy, eccentric exercise, mechanobiology, running injury, tendonitis on January 7, 2014 by Joshua Stone.